The boy, named Ravi, had fallen into the 120-feet-deep borewell at around 4:30 pm on Wednesday. 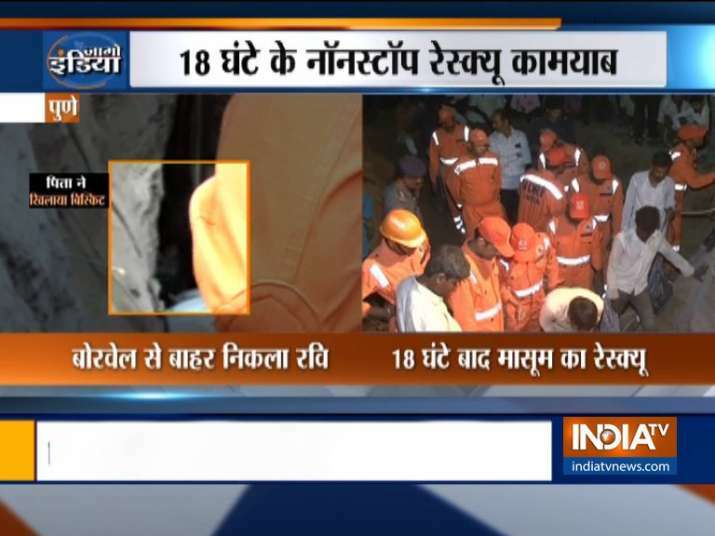 A six-year-old boy who fell into a borewell near Manchar tehsil in Pune on Wednesday was saved today after 18 hours of rescue operation. The boy, named Ravi, had fallen into the 120-feet-deep borewell at around 4:30 pm on Wednesday. He was safely taken out after 18-hour-long non-stop rescue operation on Thursday by the NDRF team. The boy was sent to a hospital after being taken out of the borewell. The rescued boy is the son of a construction worker who hails from Parol in Jalgaon district. The boy was playing in the area before he fell into the borewell. The family members of Ravi panicked after he went missing. The family members reported the matter to the local police after which the search operation began.